I bought this for my partner in 2011/12. We never settled in our previous house and he never used it. 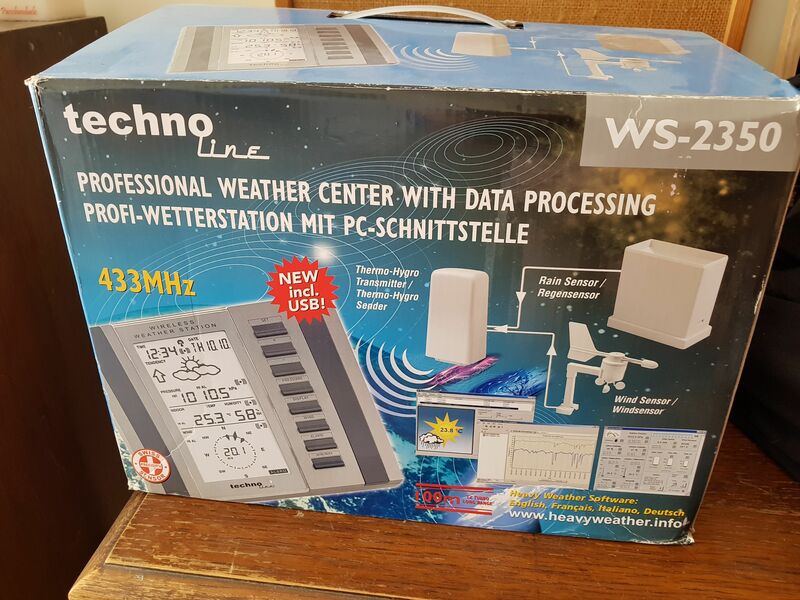 I know its not the most amazing weather station, but I wondered if it were still worth using? We feel more settled here and he wants to set it up. Does anyone know about this WS? Whether there are software updates? Would be grateful of any advice. Whilst I don't know much about the station, I sure know its better off in a garden than in its box! You may aswell get it set up in the garden and see how you get on with it, those kind of stations aren't known for there durability but everyone has to start somewhere. Yes it sure would be best outside hahaha. It wasn't very expensive, maybe £90 or £100 but it was all I could afford. We shall look into it at the weekend. I used to have one of these (a WS-2300, the same model just with no USB adaptor) as my first AWS in the early-mid 2000s alongside traditional equipment before I went to my Davis. The temperature sensor on mine was actually pretty accurate once placed inside a screen (it ran 0.3-0.4C too cool before calibration) and the rain gauge was pretty good. Mine lasted 6 years with the base station failing before any of the sensors did. The software for it was called heavyweather and hasn't been updated in probably around 15 years. Its much better if you use something like Cumulus with it instead.